January 22, 2019 - A Prayer Service was held today in observance of the 40th anniversary of Hospital Sisters Health System (HSHS). The Service was held at the HSHS System Services Center. HSHS was incorporated on December 26, 1978. During the Prayer Service Sister Marianna Kosior, founder and first president of HSHS, was recognized. In her remarks, Mary shared “Today, we are celebrating the 40th anniversary of HSHS, and we also want to celebrate the vision and achievements of the Provincial Superior, the Provincial Council, and the original HSHS board of directors who made it possible. We are presenting this plaque in recognition of Sister Marianna. The plaque contains this quote from Sister Marianna: “The reason we, a religious community, can be involved in such a gigantic project as a system of hospitals is that we have the professional training, and are gifted enough to do this. 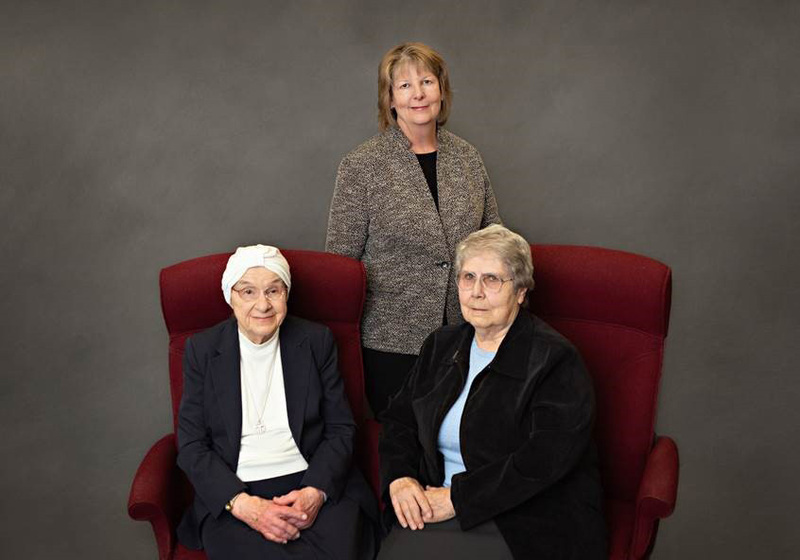 We want to bring others to an awareness of God’s love by the way in which we serve them.” The plaque will be displayed here in the System Services Center and to honor Sister Marianna’s essential role in the founding of HSHS, we feel it is important that our Board Room be named the Kosior Board Room."